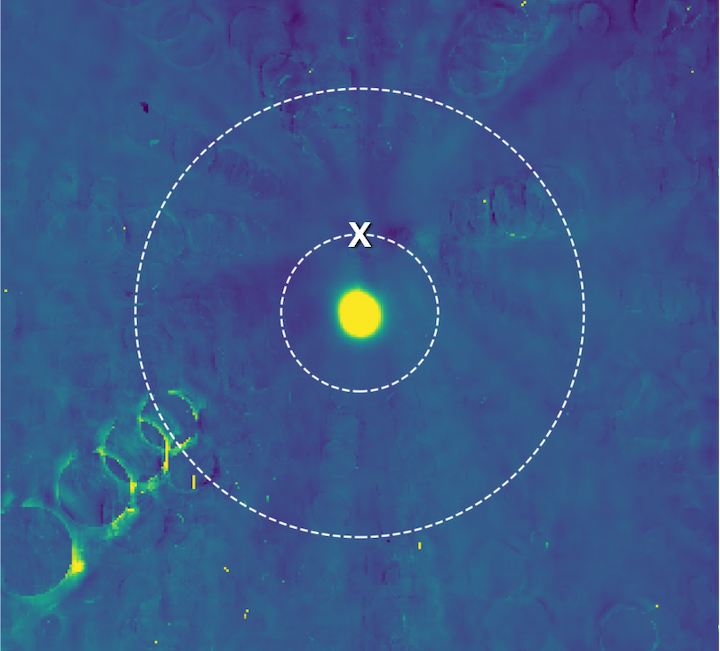 Mission team members were thrilled – if not a little surprised – that New Horizons' telescopic Long Range Reconnaissance Imager (LORRI) was able to see the small, dim object while still more than 100 million miles away, and against a dense background of stars. Taken Aug. 16 and transmitted home through NASA's Deep Space Network over the following days, the set of 48 images marked the team's first attempt to find Ultima with the spacecraft's own cameras. "The image field is extremely rich with background stars, which makes it difficult to detect faint objects," said Hal Weaver, New Horizons project scientist and LORRI principal investigator from the Johns Hopkins Applied Physics Laboratory in Laurel, Maryland. "It really is like finding a needle in a haystack. In these first images, Ultima appears only as a bump on the side of a background star that's roughly 17 times brighter, but Ultima will be getting brighter – and easier to see – as the spacecraft gets closer." 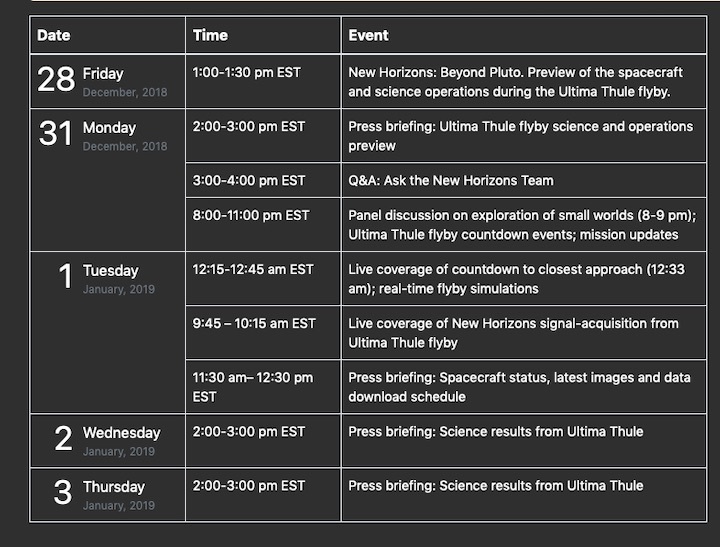 This first detection is important because the observations New Horizons makes of Ultima over the next four months will help the mission team refine the spacecraft's course toward a closest approach to Ultima, at 12:33 a.m. EST on Jan. 1, 2019. That Ultima was where mission scientists expected it to be – in precisely the spot they predicted, using data gathered by the Hubble Space Telescope – indicates the team already has a good idea of Ultima's orbit. 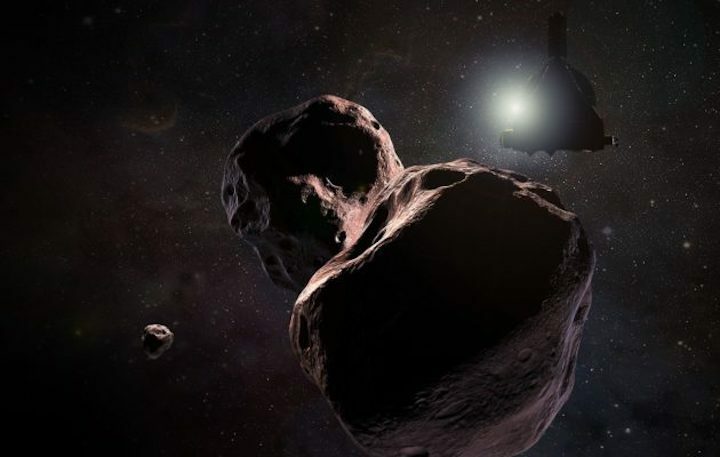 "Our team worked hard to determine if Ultima was detected by LORRI at such a great distance, and the result is a clear yes," said New Horizons Principal Investigator Alan Stern, of the Southwest Research Institute in Boulder, Colorado. 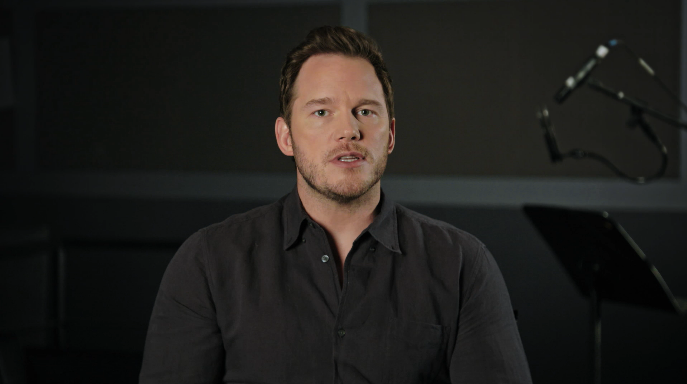 "We now have Ultima in our sights from much farther out than once thought possible. We are on Ultima's doorstep, and an amazing exploration awaits!" 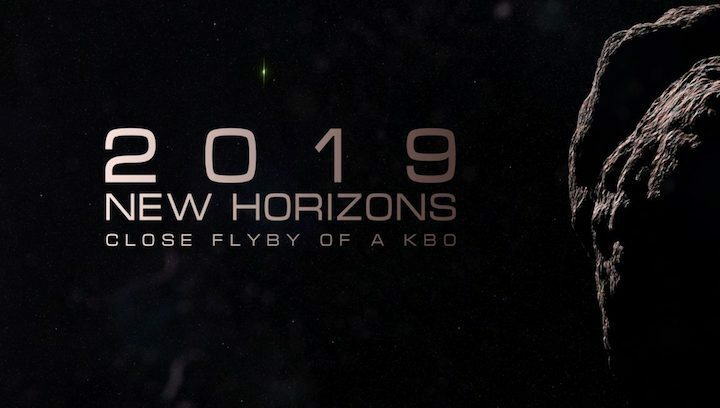 Spend your New Year's Eve with NASA, as New Horizons conducts the first close-up exploration of any Kuiper Belt object and the farthest exploration of any worlds in space ever attempted - more than 4 billion miles from Earth and a billion miles beyond Pluto! 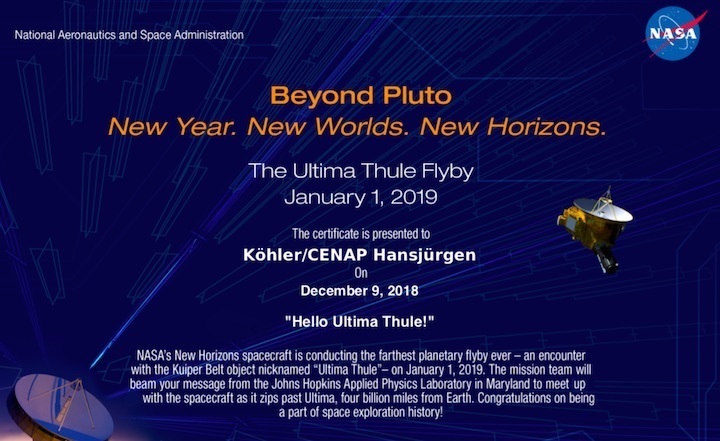 The New Horizons spacecraft is healthy and is now beginning its final approach to explore Ultima Thule - our first Kuiper Belt object (KBO) flyby target - about a billion miles beyond Pluto. 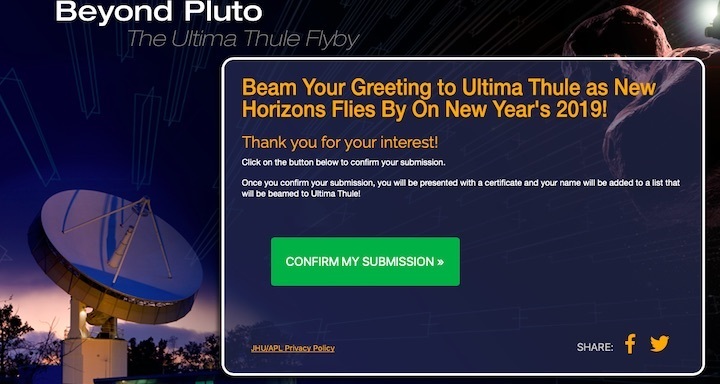 And on New Year's Eve and New Year's Day, New Horizons will swoop three times closer to "Ultima" than we flew past Pluto three years ago! Ultima is 100 times smaller than Pluto, but its scientific value is incalculable. From everything we know, it was formed 4.5 or 4.6 billion years ago, 4 billion miles from the Sun. It's been stored at that enormous distance from the Sun, at a temperature of nearly absolute zero, ever since, so it likely represents the best sample of the ancient solar nebula ever studied. Nothing like it has ever been explored. Will Ultima be an agglomeration of still smaller bodies formed at the birth of the solar system? Will it have an atmosphere? Will it have rings? Will it have moons? Any of that could be possible, and soon we'll know the answers to these questions. 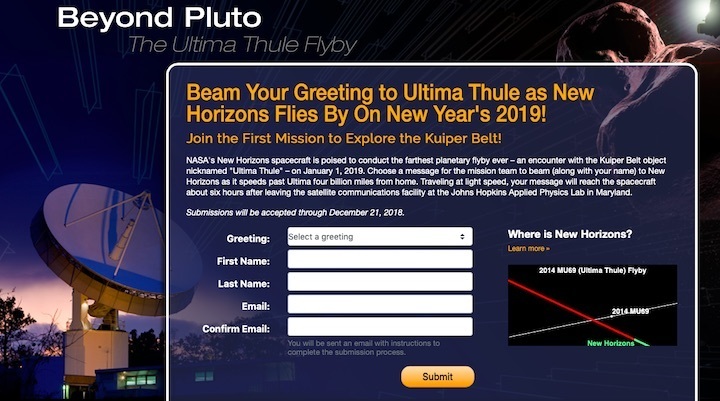 So come along with New Horizons, spend your Christmas in the Kuiper Belt and your New Year's with NASA - and join us for the Ultima flyby. Until then, I hope you'll always keep exploring - just as we do! 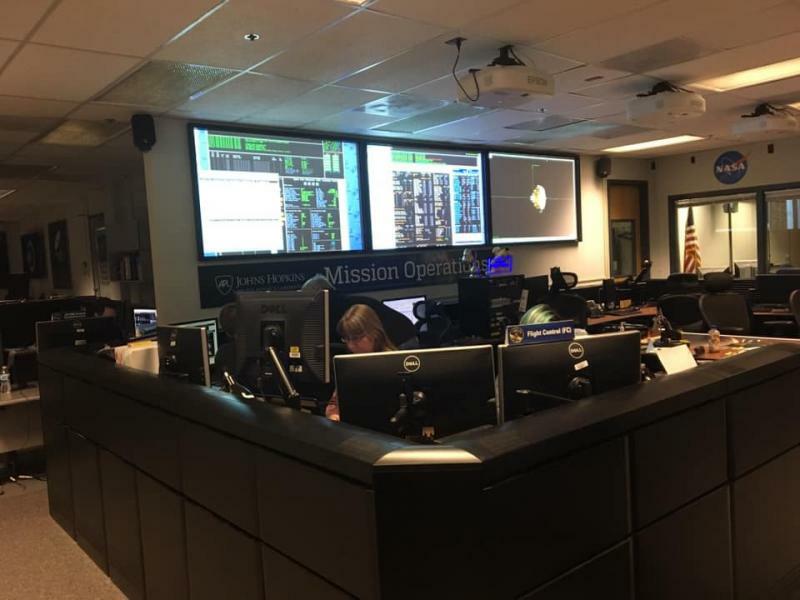 Today the team beamed out commands to fine-tune New Horizons’ trajectory using the spacecraft’s navigational thrusters (which, by the way, were built at Aerojet Rocketdyne’s facility in Redmond, Wash.). It took more than six hours for the commands to reach the probe at the speed of light, at a rate of 1,000 bits per second. By the time mission managers get confirmation that their commands have been executed (or not), New Horizons will have traveled hundreds of thousands of miles farther on its path (or off its path). 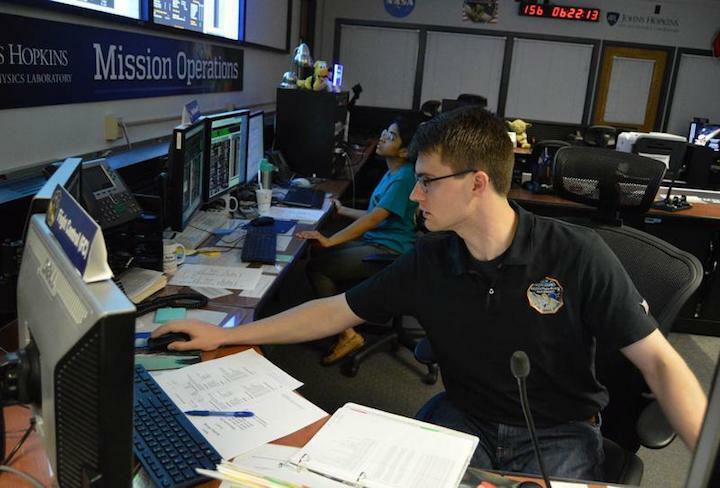 Dozens of scientists and engineers are due to converge on Johns Hopkins University’s Applied Physics Laboratory in Maryland to get set for the flyby, which is scheduled to come closest to Ultima Thule at 12:33 a.m. ET Jan. 1 (9:33 p.m. PT Dec. 31). The Hubble imagery suggests that Ultima Thule (also known as 2014 MU69) measures roughly 20 miles wide — and might consist of two or more mutually orbiting objects. The dearth of knowledge leaves plenty of room for surprises. 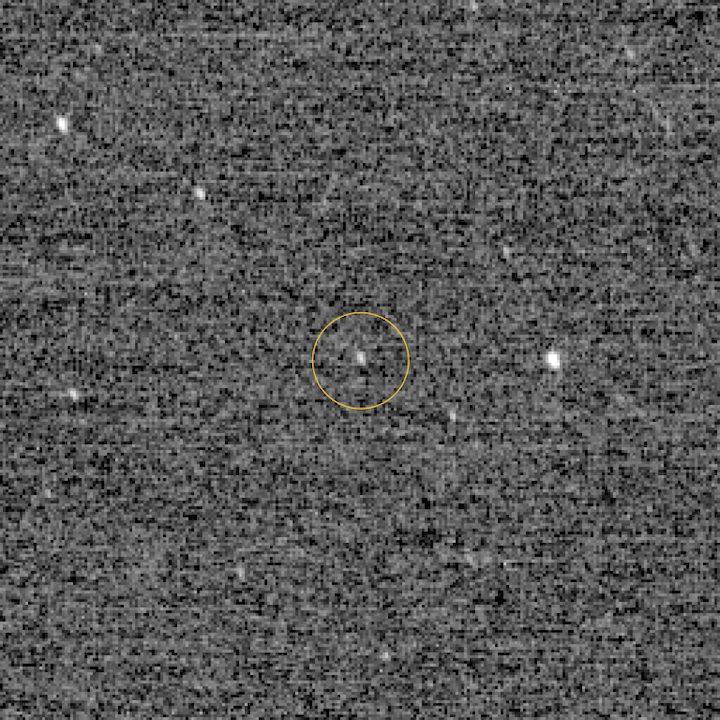 New Horizons’ long-range camera, known as LORRI, currently sees Ultima as a mere speck, but it should be able to make out its shape starting a few days before the flyby. During the closest phase of the encounter, LORRI could detect features as small as the boats floating on the lake in New York’s Central Park, Stern said. New Horizons will make use of an ultraviolet imager called Alice and an infrared and visible-light imaging spectrometer called Ralph to characterize Ultima’s composition. A radio science experiment will take its temperature, and other instruments will analyze particles in Ultima’s cosmic neighborhood. Will there be an Act Three? Stern said he and his colleagues fully intend to ask NASA for another mission extension once Ultima is behind them. He noted that at its current speed, New Horizons will be flying through the Kuiper Belt for almost a decade longer. With just 29 days to go before making space exploration history, NASA's New Horizons spacecraft performed a short but record-setting course-correction maneuver on Dec. 2 that refined its path toward Ultima Thule, the Kuiper Belt object it will fly by on Jan. 1. Just as the exploration of Ultima Thule will be the farthest-ever flyby of a planetary body, Sunday's maneuver was the most distant trajectory correction ever made. At 8:55 a.m. EST, New Horizons fired its small thrusters for 105 seconds, adjusting its velocity by just over 1 meter per second, or about 2.2 miles per hour. 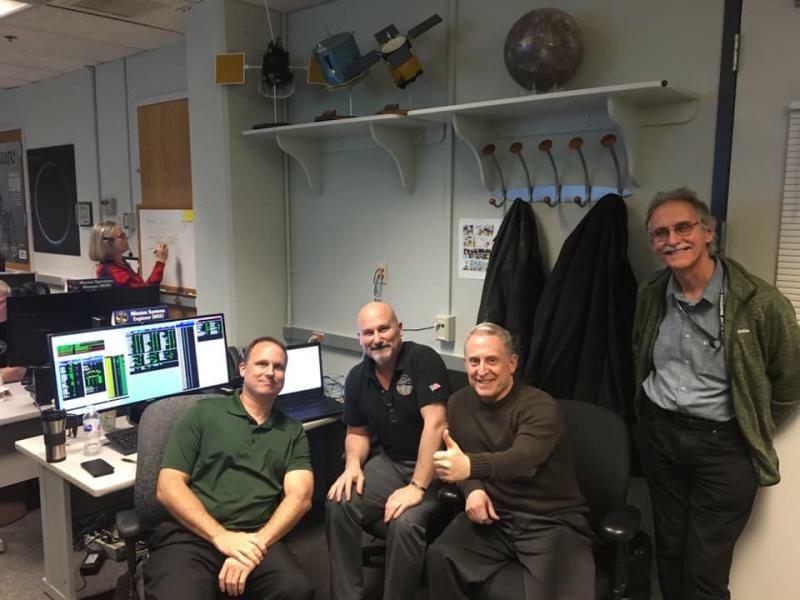 Data from the spacecraft confirming the successful maneuver reached the New Horizons Mission Operations Center at the Johns Hopkins Applied Physics Laboratory in Laurel, Maryland, through NASA's Deep Space Network, at 5:15 p.m. EST. Ultima Comes into Clearer View: This composite image of Ultima Thule was taken just 33 hours before the Dec. 2 course-correction maneuver that fine-tuned New Horizons' trajectory for its New Year's flyby. 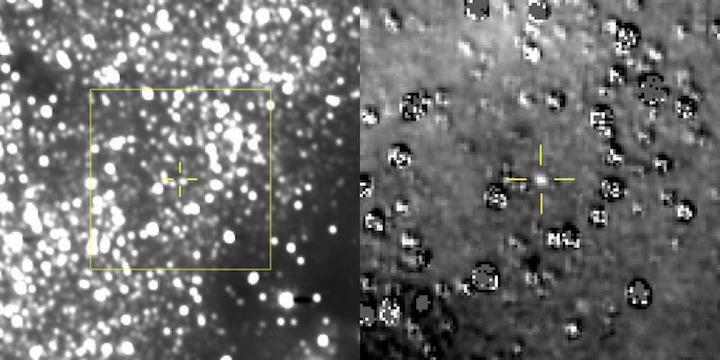 At left is the full Long Range Reconnaissance Imager (LORRI) image (an average of 10 individual 30-second exposures) with a yellow circle centered on the location of Ultima Thule. Unlike the LORRI images taken in August through October, Ultima is now evident among the many background stars even without further processing. 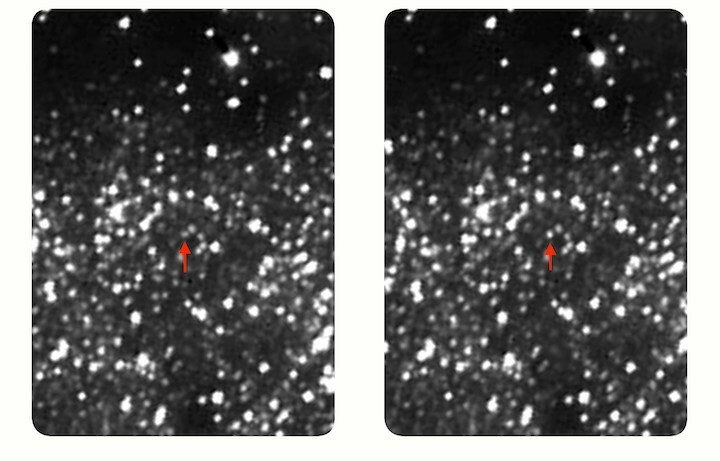 Nevertheless, Ultima really stands out after subtracting the background stars; the region within the yellow box has been expanded in the star-subtracted version of the image on the right (many artifacts from the imperfect star subtractions are visible in this difference image). Ultima was 4.01 billion miles (6.47 billion kilometers) from the Sun and 24 million miles (38.7 million kilometers) from the New Horizons spacecraft when the images were taken. "As the New Horizons spacecraft closes in on its target, Ultima Thule is getting brighter and brighter in the LORRI optical navigation images," said Hal Weaver, New Horizons project scientist from the Johns Hopkins Applied Physics Laboratory in Laurel, Maryland. "It's now standing out much more clearly among the sea of background stars." 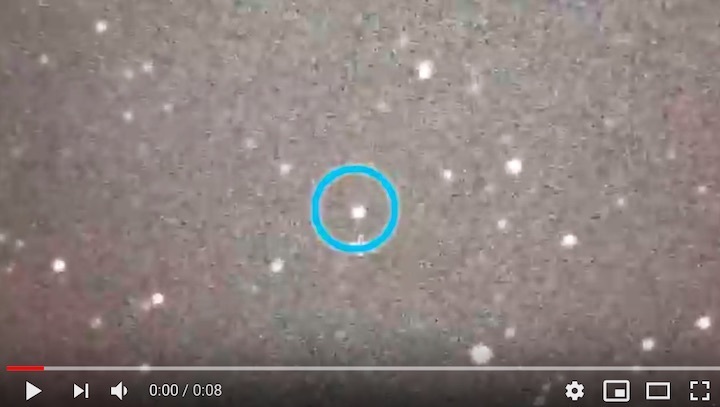 NASA’s New Horizons team trained mobile telescopes on an unnamed star (circled) from a remote area of Argentina on July 17, 2017. A Kuiper Belt object 4.1 billion miles from Earth -- known as 2014 MU69 -- briefly blocked the light from the background star, in what’s known as an occultation. Those measurements have produced the mission's first mystery about Ultima. Even though scientists determined in 2017 that the Kuiper Belt object isn't shaped like a sphere – that it is probably elongated or maybe even two objects – they haven't seen the repeated pulsations in brightness that they'd expect from a rotating object of that shape. The periodic variation in brightness during every rotation produces what scientists refer to as a light curve. 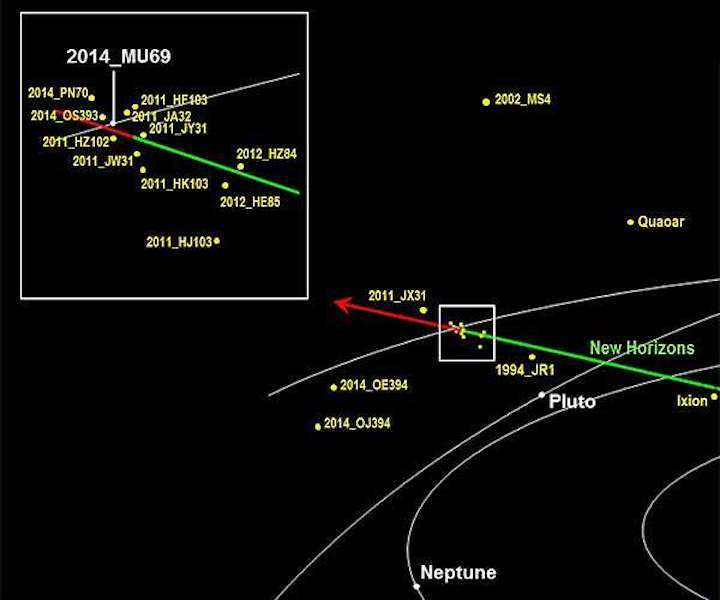 "It's really a puzzle," said New Horizons Principal Investigator Alan Stern, of the Southwest Research Institute. "I call this Ultima's first puzzle – why does it have such a tiny light curve that we can't even detect it? I expect the detailed flyby images coming soon to give us many more mysteries, but I did not expect this, and so soon." 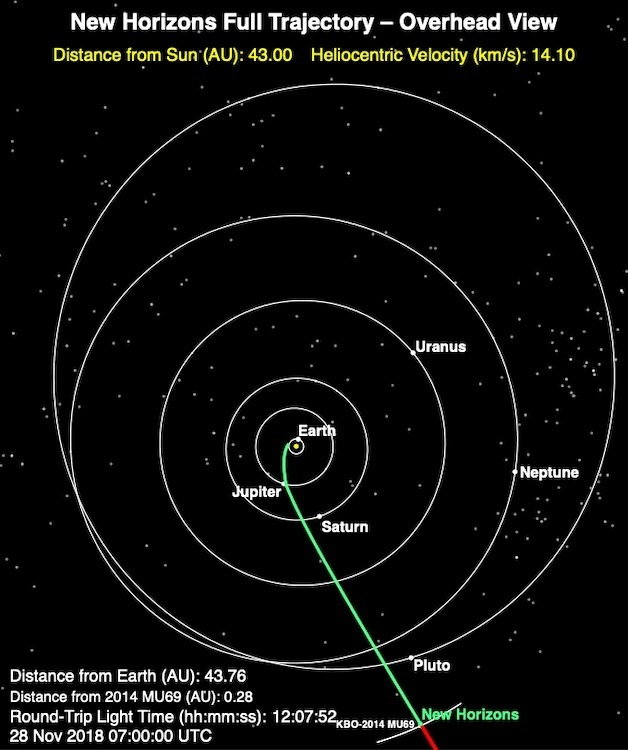 NASA's New Horizons spacecraft is set to fly by a distant "worldlet" 4 billion miles from the Sun in just six days, on New Year's Day 2019. The target, officially designated 2014 MU69, was nicknamed "Ultima Thule," a Latin phrase meaning "a place beyond the known world," after a public call for name recommendations. No spacecraft has ever explored such a distant world. Ultima, as the flyby target is affectionately called by the New Horizons team, is orbiting in the heart of our solar system's Kuiper Belt, far beyond Neptune. The Kuiper Belt — a collection of icy bodies ranging in size from dwarf planets like Pluto to smaller planetesimals like Ultima Thule (pronounced "ultima toolee") and even smaller bodies like comets — are believed to be the building blocks of planets. Ultima's nearly circular orbit indicates it originated at its current distance from the Sun. Scientists find its birthplace important for two reasons. First, because that means Ultima is an ancient sample of this distant portion of the solar system. Second, because temperatures this far from the Sun are barely above absolute zero — mummifying temperatures that preserves Kuiper Belt objects — they are essentially time capsules of the ancient past. 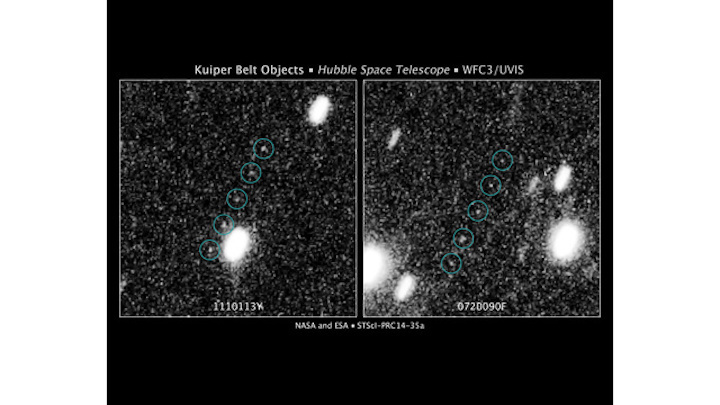 Marc Buie, New Horizons co-investigator from the Southwest Research Institute in Boulder, Colorado, and members of the New Horizons science team discovered Ultima using the Hubble Space Telescope in 2014. The object is so far and faint in all telescopes, little is known about the world beyond its location and orbit. In 2016, researchers determined it had a red color. In 2017, a NASA campaign using ground-based telescopes traced out its size — just about 20 miles (30 kilometers) across — and irregular shape when it passed in front of a star, an event called a "stellar occultation." From its brightness and size, New Horizons team members have calculated Ultima's reflectivity, which is only about 10 percent, or about as dark as garden dirt. Beyond that, nothing else is known about it — basic facts like its rotational period and whether or not it has moons are unknown. 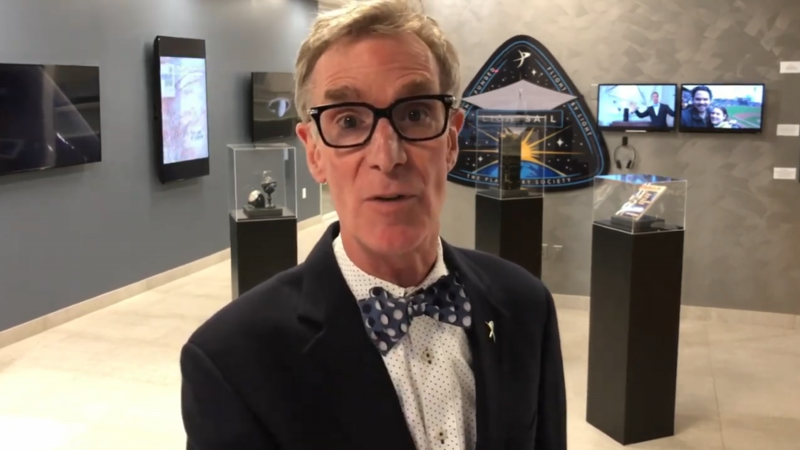 "All that is about to dramatically change on New Year's Eve and New Year's Day," said New Horizons Principal Investigator Alan Stern, also of SwRI. "New Horizons will map Ultima, map its surface composition, determine how many moons it has and find out if it has rings or even an atmosphere. It will make other studies, too, such as measuring Ultima's temperature and perhaps even its mass. In the space of one 72-hour period, Ultima will be transformed from a pinpoint of light — a dot in the distance — to a fully explored world. It should be breathtaking!" "New Horizons is performing observations at the frontier of planetary science," said Project Scientist Hal Weaver, of the Johns Hopkins University Applied Physics Laboratory in Laurel, Maryland, "and the entire team looks forward to unveiling the most distant and pristine object ever explored during a spacecraft flyby." "From Ultima's orbit, we know that it is the most primordial object ever explored. I'm excited to see the surface features of this small world, particularly the craters on the surface," said Deputy Project Scientist Cathy Olkin, of SwRI. "Young craters could provide a window to see the composition of the subsurface of Ultima. Also by counting the number and impactors that have hit Ultima, we can learn about the number of small objects in the outer solar system." 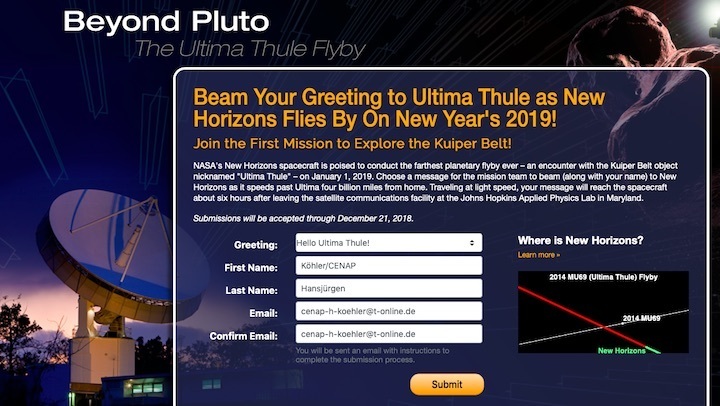 The New Horizons spacecraft is on course to fly by Ultima on New Year's Day, Jan. 1, at 12:33 a.m. EST. The Kuiper Belt lies in the so-called "third zone" of our solar system, beyond the terrestrial planets (inner zone) and gas giants (middle zone). This vast region contains billions of objects, including comets, dwarf planets like Pluto and "planetesimals" like Ultima Thule. The objects in this region are believed to be frozen in time — relics left over from the formation of the solar system.